The crimson, yellow, purple, red and blue colours that accompany the beauty of the sun rising and painting its light onto a new day. These are the colours that have been captured by the raden and maki-e artist who was commissioned to produce the latest of the limited edition raden fountain pens from Pelikan, and Penbox are pleased to report that we now have several of the M1000 Pelikan Raden Sunrise Red pens in stock. 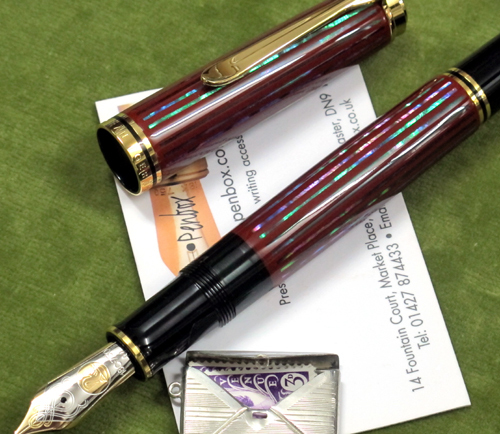 We expect the edition of 333 fountain pens to sell out quickly.